As costly as workers’ compensation insurance is for California employers, you may wonder if it’s really necessary. Legislated in the U.S. in the early 1900s (you can read an interesting history of workers’ comp. here), workers’ compensation insurance is an integral part of state and federal law. It mandates that all businesses carry no-fault insurance to compensate their employees for lost wages and medical expenses due to injury, disability or disease incurred on the job. In the worst-case scenario of death, the law further requires employers to compensate the employee’s dependents. So the short answer is yes: workers’ compensation insurance is required. And in this post, we’ll cover what you should know about workers’ compensation programs, followed by the present market conditions in general, and your choices as a life science or tech company. The Policy Structure for Workers’ Comp. 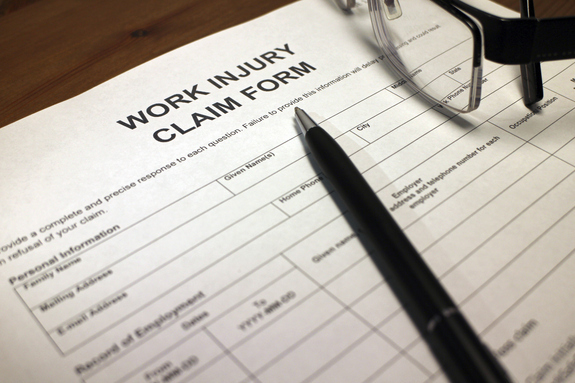 Most workers’ compensation plans are the same amongst insurance companies. The essential difference in coverage is how it’s structured around the cost that the employer (buyer) incurs versus the cost that the insurer incurs. Guaranteed cost (GC) means precisely that: the employer pays a fixed premium regardless of the amount of the actual workers’ compensation claims. With this program, the premium will not change due to claims activity, whether there are no claims or many claims. Predictable insurance costs based on estimated employee payroll and the insurer’s rates for the type of work performed by employees. Relatively simple and nominal administrative management is needed during the policy period, other than for claims or confirming coverage in newly added states. Loss-sensitive programs vary in structure, but are generally selected by larger companies that have the appetite for leveraging their workers’ comp. claims experience to offset varying degrees of their premiums. Dividend: While not often available, this is the simplest form of a loss-sensitive program in that the employer is paid a dividend by the insurer if their claims meet certain pre-agreed levels. The employer assumes no risk in that there will be no additional costs in the event their claims activity is poor; they are simply eligible for a dividend if their claims experience is positive. The dividend is typically paid in two installments at 12 and 24 months after the policy expires. Given their simplicity, dividend plans can be available for companies paying roughly $75,000 and higher in estimated annual premiums. Retrospective Rated: This is a more complicated program in that the employer participates in both positive and adverse claims activity, resulting in the possibility of either an additional premium or a return premium based upon the specifics of their plan and claims experience. The premium adjustments are also made well after policy expiration – typically after the first 18 months, and then every 12 months thereafter. As a result, most employers who select this option pay annual estimated premiums of more than $250,000. Deductible: This is the most sophisticated of the three loss-sensitive programs noted here, as the employer is retaining a portion of their workers’ comp. claim costs within a large deductible – typically $250,000 or more. Given this degree of self-insurance, insurers are able to discount the annual premium significantly, as they only need to price for catastrophic losses (those above the deductible amount). Given such a retention, this plan structure is best suited to companies that can afford out-of-pocket expenditures, are subject to workers’ comp claims frequency (for modeling purposes), and that have successfully controlled their losses through effective safety (pre-loss) and return-to-work (post-loss) programs. In addition, employers who are eligible for a large deductible must have strong financial statements and pay more than $750,000 in premiums. The California workers’ comp. insurance market is competitive for life science and technology companies, which, of course, is good news for buyers. Due to its low cost and nominal administrative burden, most companies go with the GC (guaranteed cost) option, and life science and tech companies are no exception. Besides being competitively priced, the GC model eliminates a corporation’s need to participate in the funding of their workers’ comp. losses, which is what deductible and loss-sensitive programs require. However there aren’t a lot of choices in the workers’ comp. insurance market for life science and tech companies in California because many insurers feel the rates are too low to warrant participation. The claims and “loss control” capabilities of the insurance company. As a life science or tech company in California, both of these characteristics are critical to ensure you have the best possible workers’ comp. program. While claims frequency and the severity of those claims in the life science and tech sectors are relatively low, the risk of employee injury that can develop into an expensive loss is real, particularly for injuries involving repetitive motion and driving. An additional issue to consider when assessing an insurer’s claims capabilities is their medical provider network (MPN), which helps keep workers’ compensation costs down by pre-selecting the medical providers employees can access for their injury. These networks give employers and insurers some degree of control over the physicians attending to injured employees. So, how would you know if the workers’ comp. insurer has everything you need? Enter the insurance broker. Because of a broker’s intimate familiarity with insurance companies, they can vet the best choice for your needs. And, you’ll want to use a broker who has deep knowledge of the life science and tech sectors to identify the best program. Here at Woodruff Sawyer, we happen to offer a solution for life science and tech companies that improves the choices buyers have beyond the limited options currently available in California. In addition to the insurers already providing workers’ comp. coverage to these sectors, we have access to a proprietary program with a “Woodruff Sawyer-only” insurer that offers an additional competitive option to our clients along with best-in-class claims and loss control services. 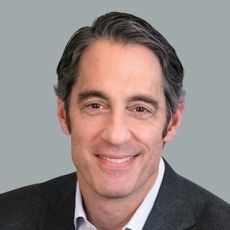 CEO Andy Barrengos has been a part of the Woodruff Sawyer team since 1996, and has served as CEO since 2016. Andy leads our firm with a focus on developing our people, delivering outstanding services, tools, and solutions for our clients, and growing the firm in new and existing sectors across our national platform.